In a previous white paper, we covered the things a Senior Business Manager may want to know about a proposed project. In this white paper, we focus on the questions a Manager may want to ask about a project that is up and running. As with the previous white paper, we propose a series of open ended questions rather than focusing on specifics. Typically, the project team will prepare a weekly or fortnightly report that will provide such information as progress against milestones, and work completed. It might also cover the budgetary situation. Whilst this provides some information, it does not give the Senior Business Manager a warm feeling or make them comfortable all is well. Reports are typically focused on the immediate activity, and lack a big picture perspective. These questions are not meant to replace the weekly report. They are intended to provide an opportunity for the Project Manager to outline the overall situation, and raise any concerns about the future. Below are five areas to focus on, and some questions that can be asked about each area. There will be a different emphasis on each area from project to project, and also during the lifetime of the project. What work is remaining, and what concerns are there about particular aspects? The reason for asking this question is to uncover the “sleepers”; the parts of the project that may cause problems. It is human nature to put off the difficult tasks until later. The same can happen in projects where the team delay a complex activity until too late. What seems like a relatively straight forward task in a project plan may have hidden dimensions that can only be discovered by talking it through. What are the most difficult parts of the project still to be addressed? What assumptions have yet to be validated? What estimates do you feel least comfortable with? If an unforeseen problem arises, where do you think it will happen? What complex tasks are coming up? Are there any highly dependant activities in the near future? An ERP implementation project was at about the three quarter mark and a list of issues had been sent to the Vendors head office to be resolved. One of those issues related to the industry having some specific requirements relating to part numbering. In essence they had standard size products. These were often cut down to a customer’s specific size requirements leaving an off-cut which could often be cut to another customer’s requirements. The off-cut had to be identified by a part number, however they did not want to create a new part number for every, odd shaped off-cut. As time went on, the Project Manager became increasingly concerned about the lack of a solution. When it did eventually get escalated to the Sponsor, it was too late. The Sponsor brought pressure to bear on the Vendor but by the time a solution was proposed, the options were to either accept the less than ideal, interim solution, or miss the deadline for implementation. The interim solution was accepted but when they went live, there were major problems. Had the Project Manager had the opportunity to discuss concerns earlier, the situation may have been avoided. Are there any costs that are starting to cause concern? Many Project Managers are focused on the cost to date rather than the cost to complete. They spend hours reconciling expenditure with GLs. Sometimes they loose track of the rate of cash burn and can get caught out when the rate of expenditure suddenly jumps as usually happens in the later parts of the project. How is expenditure in relation to a cash flow plan (assuming the project has a cash flow plan)? If there is no plan, the Project Manager should prepare one. What is the impact of scope variations on cost? Are there any changes to the basis on which costs have been calculated? An example may be rate changes for contractors or price increases for equipment. Does the budgetary reporting reflect the current situation, or are there incurred expenses that have not found their way into the budget? What expenses are still only “guesstimates”? A large financial organisation had an outsourcing agreement with a major outsource company. The contract was being renegotiated and a completely different set of criteria for charging was being introduced. The outsourcer was moving from a basis of providing resources on a “contractor rate + 25% “ basis, to a fixed price basis for particular skills. The project I was running had a number of contractors supplied by the outsourcer. As the skills were relatively common, there were many people in the marketplace, and rates were relatively low. Unfortunately, these particular skills were bundled with more exclusive skills in the new contract, and rates increased by around 20%. The impact on my budget was significant. The contract negotiations had been considered “confidential” and we were not aware that the charging basis was changing. It is by no means certain, but had we discussed the costs with the Sponsor in a general sort of discussion, we might have identified the cost blow out. She was in fact part of the contract negotiation team and was well aware of the direction of the change. She was focused on the big picture for the organisation and had not realised the impact on this particular project. Where are you having problems working with other stakeholders? Whilst everyone may start the project committed to the outcome, pressures cause relationships to break down. The Senior Business Manager needs to be aware of these concerns. A project is just a group of people working together. If some are not, the project can fail. Are there any business areas that are not committing as much time as they should? Have any new stakeholders emerged, and are they participating? Are there differences between any stakeholders? Are you having difficulty getting time to discuss the project with anyone? Is anyone saying they are not being kept up to date? Is recruitment of resources progressing to plan? In a particular project that required significant user testing effort, there had been a change of manager in the business area where the testing was to take place. The new manager was probably too inexperienced to take over the role, but had been thrust into the breach. He was struggling to keep up with day to day work, and would not even talk to me as the Project Manager. Fortunately I had a good working relationship with the Senior Manager who was the Sponsor of the project. I was able to broach the subject with him and pass on my concerns. He arranged a meeting with himself, the General Manager who had appointed the new manager, and I where we talked about the struggling new manager. I made the point that as the person responsible for appointing the person, the GM needed to ensure he had the support to do his job. The result was that there was a re-organisation and the new manager was given additional support. The GM also made sure the test team were available as required. The discussion not only solved the testing problem, but also provided the new manager with resources to handle his day to day role. Are all the benefits in the initial business case still valid? This is an area where some horrible shocks can emerge (or be hidden). Once the business case is signed off, many Project Managers (and often the Sponsor) forget the benefits. The Project Manager will have moved on before the benefits are checked – if they are checked at all. It is worth doing a regular review of the benefits to see if they are still current. Has anything happened that will impact the benefits in the business case? Have any new benefits been identified? Are you looking for any previously unforeseen benefits? Do we need to do more work before we verify a particular benefit is achievable? Are we putting measures in place to confirm the benefits will be delivered? This is a good news story, rather than a bad news one. When implementing an Accounts Receivable solution, the main benefits related to forecasting cash flow. The company processed thousands of cheques a month, and wanted to be better able to predict their income on a day to day basis. The business case was largely based on how they could save money by better predicting their cash flow. I was looking for additional benefits during the early stages relating to the efficiency of processing. If we could process cash more efficiently, the labour component could be reduced. When talking with the supervisor of the AR department she was complaining about the difficulty to relate individual sales to a cheque. Some cheques covered a hundred transactions but the transactions were not sequential. Each had to be reconciled individually so one cheque may require allocation across 100 line items. I did a quick addition of the outstanding cheques, and it ran into the hundreds of thousands of dollars sitting in her drawer. Because the current system would not generate a banking deposit slip until the cheque had been reconciled line by line, she could not bank them. I will not repeat what the CFO said when I told him, but suffice it to say, we were able to add another benefit. Getting the unresolved cheques into the company account and hence adding a few hundred thousand dollars to the company coffers was a bonus benefit. What issues are currently outstanding? An issue is a problem. It requires some action to resolve. It is absolutely normal to have issues in a project. They arise because a project is a series of activities that unfold, and only when one part has unfolded do some problems become evident. The danger is that the problems are pushed into the background, or are too complex to solve without a major effort. How many issues are outstanding? What issues are having an immediate impact on the project? Do you have a schedule for when the issues will be solved? What issues do you need me to become involved in to resolve? I was asked to assist a project that had been spinning wheels for over a month. The project had become bogged down, and the team of around 150 were rapidly slipping behind schedule. A number of meetings over the first few days threw up a range of issues that needed to be resolved before the project could move on. Everyone seemed focused on getting their problem resolved but many of the problems were interdependent. The solution we put in place was to quickly (in two days) list the major problems, the interdependencies, some options and the key stakeholders in each problem. We then arranged a week of facilitated meetings to address each issue. Basically, until the issue was resolved, the meeting continued. Some took an hour and others a few days. The project was effectively stopped and only non-issue related work was carried out until the issue was resolved. Surprisingly, we still found plenty to do for the people not involved in the meetings. The schedule did slip, but was quickly able to move forward and make up some of the slippage over the following weeks. The week of meetings provided an opportunity for Senior Business Managers to be brought in to make decisions that were outside of the responsibility of the project team. For example, one issue that was holding up the project was how extensively a new bar coding system was to be deployed prior to the project launch date. The decision involved another project team as well as several warehouse managers. The GM responsible for warehousing was able to bring together the interested parties and reach a decision in a few hours. The decision had been pending for 6 months. The questions above are intended to be open-ended. It is often the case that Senior Managers are not close enough to the project to ask specific questions. It is more a case of giving the Project Manager the opportunity to broach topics in a less formal manner than a template driven report. It is also an opportunity for the Senior Manager to bring his or her perspective on what is happening in the organisation to the project. Some of the big picture activities may impact on the project. It is also recommended that the meeting is not too structured. The intention is to hold a wide ranging discussion that gives the Senior Business Manager a degree of comfort that they are across the current situation. A PowerPoint presentation is too focused on what the Project Manager wants to say – not necessarily what the Senior Manager needs to hear. It becomes a monologue rather than a dialogue. Taking the five sections above (Work Remaining, Costs, Relationships, Benefits and Issues) and having a range of questions about each of the areas is probably enough. How often a discussion should take place will depend on the size and scope of the project. It should probably be not more frequently than weekly, and not less frequently than monthly. Time should be somewhere between half an hour and an hour. 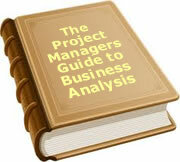 A written report is important for Senior Management to understand how a project is progressing. It is however only one part of the story and tends to be quantitative. It is also important for a Sponsor or Senior Manager to hold open discussions with the Project Manager and key team members on a regular basis to get a qualitative view. It is through these discussions that a true appreciation of the problems confronting the team will be conveyed, and action can take place earlier rather then later. It also provides the Sponsor the opportunity to ensure the outcome of the project will meet expectations at the time of delivery. Things change in an organisation and the desired outcome at delivery may be different to the outcome originally intended. The project team may not be aware of subtle changes in the direction of the organisation. To date, 5 people have rated this article. The average rating is 4.00 - Add your rating. Just select a rating and click the button. No other information required.